The second in a series of webisodes featuring behind-the-scenes footage from the making of “Diluvium”, the new album from Germany’s progressive death metal masters OBSCURA, can be seen below. 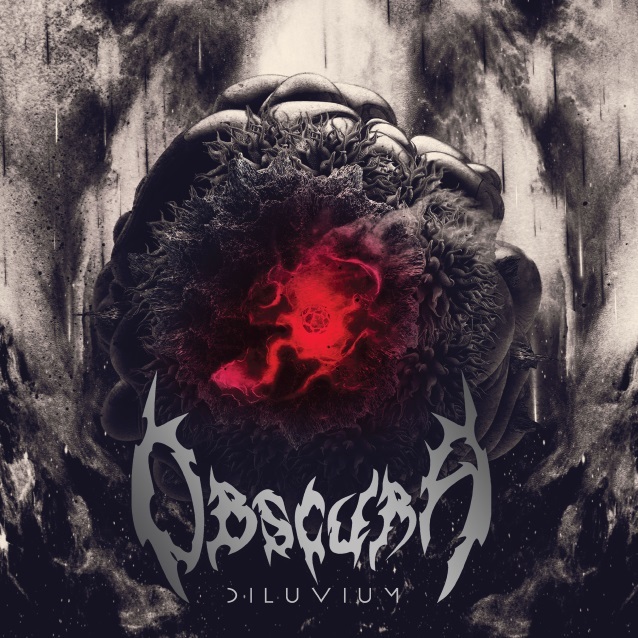 OBSCURA completes its long-running, four-album conceptual circle with the release of “Diluvium” (defined as a great oceanic flood), the band’s most evocative, diverse and vibrant release to date. The effort is due out July 13 on CD, LP and digital via Relapse Records. Recorded with longtime producer V. Santura (TRIPTYKON, PESTILENCE) at Woodshed Studios in Landshut, Germany, “Diluvium” is a stunning achievement for the illustrious quartet and a landmark release for progressive metal as a whole. Complete with all the band’s signature elements plus groundbreaking polyrhythms, dramatic songwriting, and jaw-dropping virtuosity, “Diluvium” will go down in the annals of metal history as one of the most astonishing performances the genre has to offer. The official video for the “Diluvium” title track can be seen below. The clip was directed by Mirko Witzki (KREATOR, BLIND GUARDIAN, CALIBAN) and further explores the album’s celestial themes. The band commented: “With the title track of our new album, we present you one of the most fast forward and brutal compositions ‘Diluvium’ has to offer. OBSCURA will perform at select European festivals this summer, including Vienna Metal Meeting, Amsterdam Metal Meeting and Summer Breeze.